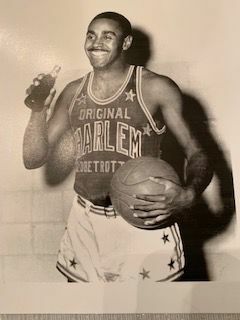 Basketball star excluded due to race; joined the pioneering Harlem Globetrotters (1949-1954), then served as a coach and mentor. AKA John E. Wilson. Via the Indianapolis Star.